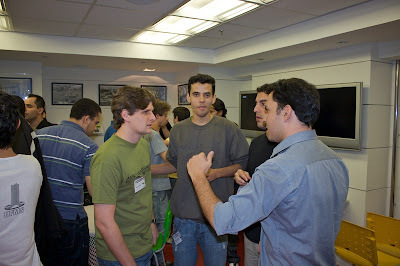 On July 2nd, 2009 about 50 people gathered in our Belo Horizonte, Brazil office for the second edition of the Open Source Jam Brazil. Guests were welcomed with an aperitif of snacks and drinks. At about 19:00 we started a round of short talks on various topics. Scott Kirkwood presented his Convertsy Wave Robot and gave a short introduction on how to write robots for Google Wave. Ricardo Bittencourt spoke about implementing an MC-1000 emulator on FPGAs. Rafael Sachetto Oliveira talked about his Ubuntu Simple Package Crawler project and demonstrated Web USPC. 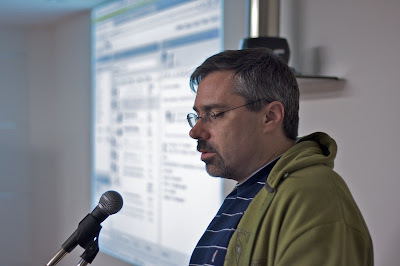 Fabrício Ceolin reported on integrating government software, CACIC, with Intel vPro technology. Licio Fonseca introduced the audience to GNOME Love, a project to help new contributors to the GNOME project, and Germano Teixeira de Miranda talked about speeding up cloning computers with Recuperao de Imagem de SO. After the talks we had almost two hours to talk to one another and get some more snacks, including ice cream. 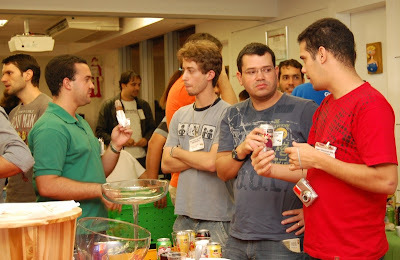 The Brazilians are known for being quite sociable, and this quality was made very clear in the strength of its Open Source community; developers, enthusiasts and Google engineers shared their projects and ideas, and some even found new projects to work on together. The evening came to an end at about 22:00 when most people left. Google Open Source Jam events are getting increasingly popular. 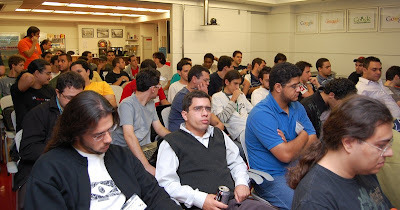 It took less than 12 hours for the 50 attendees to sign up for this second Open Source Jam in Brazil, so join the Open Source Jam Brazil Google Group to stay updated on future events as soon as they are scheduled. Open Source Jams are hosted by the Google Open Source Team. Ed. Note: Post updated with new photos.